Home » YOU Raised the Region! We asked, and you delivered! Thanks to the generosity of individuals like you, we reached our $5,000-goal during this year’s Raise the Region event. 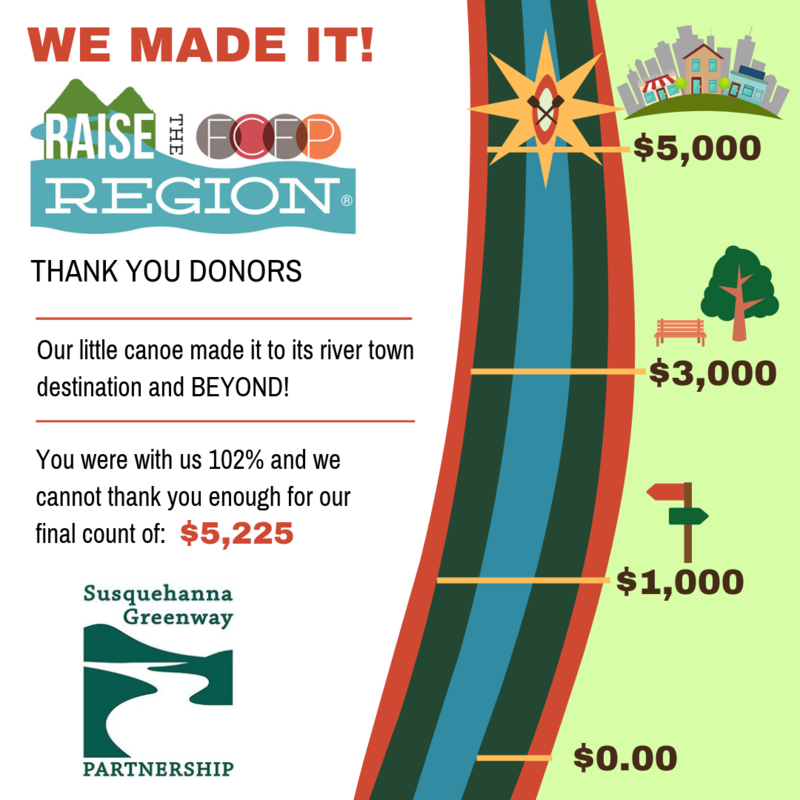 This year 273 nonprofits from all over North Central Pennsylvania participated in the unique 30-hour online giving campaign, and we are so honored by all those who chose to support the Susquehanna Greenway Partnership. Not only did we reach our goal, but donors went above and beyond to raise the bar to the sum of $5,125—that is a 102% success rate! Couple that total with the win of a Minute Match prize of $100, presented by Larson Design Group, UPMC, FCFP, Subaru, and Toyota, our final fundraising total comes to $5,225. SGP even made it into the top 100 on the leaderboard, taking 54th place in overall funds raised out of the 273 organizations. We cannot thank our donors enough for helping us surpass our 2019 goal. Your contributions will go directly back to growing and celebrating the Greenway in your backyard. Whether you chose to support walking, biking, paddling, river towns, or the entire 500-mile corridor, we are sincerely grateful. 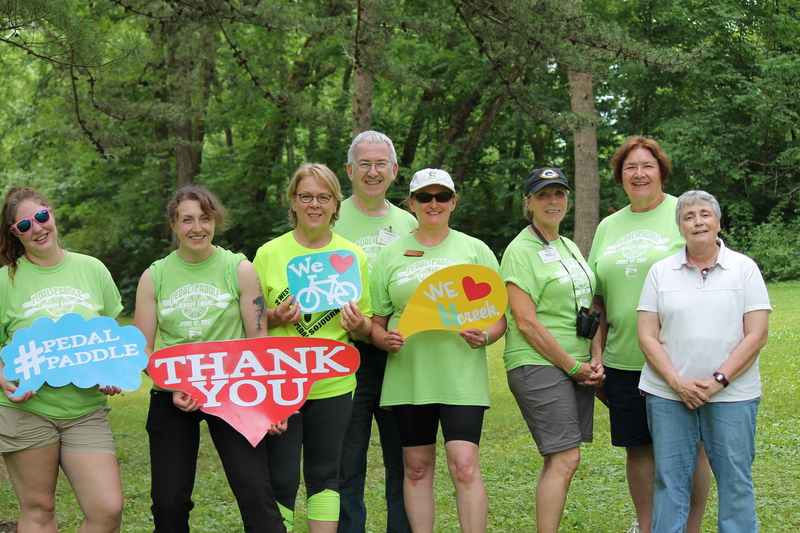 We look forward to seeing you out on the Greenway in 2019!